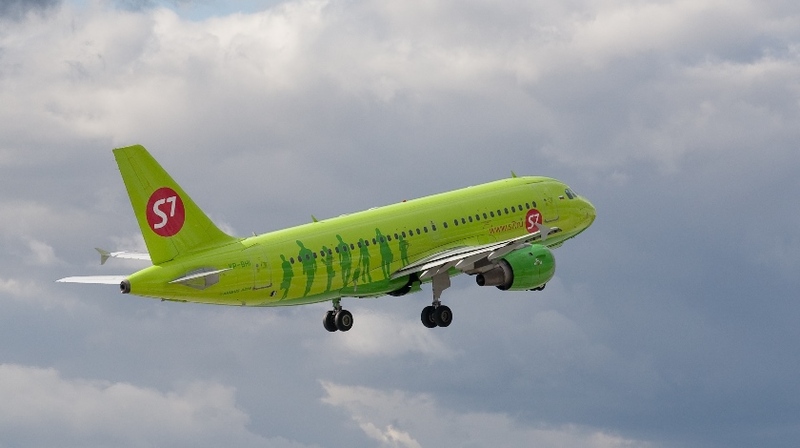 S7 Airlines Airbus A320, performing flight from Novosibirsk to Irkutsk (Russia), was on approach to Irkutsk’s runway 12 cleared to descend to 600 meters (2000 feet AGL), before the aircraft intercepted the glideslope the controller cleared the flight to descend to 450 meters (1500 feet AGL), the aircraft however continued to descend below that cleared height. When tower called the aircraft, due to radio traffic congestion with a bit of delay, the crew initiated a go around about 8km (4.3nm) before the runway threshold at 270 meters (885 feet AGL). The aircraft positioned for another approach and landed safely on runway 12 about 15 minutes after the go around. Rosaviatsia reported the aircraft had followed the BD1C standard arrival route and was cleared to descend to 600 meters. Before being established on the glide slope the aircraft was cleared to descend to 450 meters (1500 feet AGL), however, descended below 450 meters. Due to traffic congestion on the radio the controller could not immediately intervene. When the controller finally reached the crew and asked about their current height and pressure setting on the altimeter, the crew initiated a go around at 270 meters (885 feet AGL) about 8km (4.3nm) before the runway threshold. Editorial notes: on the 3.3 degrees glideslope for runway 12 the aircraft should have been at 475 meters/1560 feet AGL (3140 feet MSL), Rosaviatsia did not mention which type of final approach – ILS, VOR/DME or Two NDB approach – the aircraft was performing, however, only ILS was possible with the present weather conditions. Rosaviatsia annotated that the aircraft should have intercepted the glideslope at about 10km (5.4nm) before the runway threshold at 600 meters.